Dreams in Monochrome features remixes from Arcade High, Sunset Neon, VHS Dreams, PYLOT, Magic Sword & more. 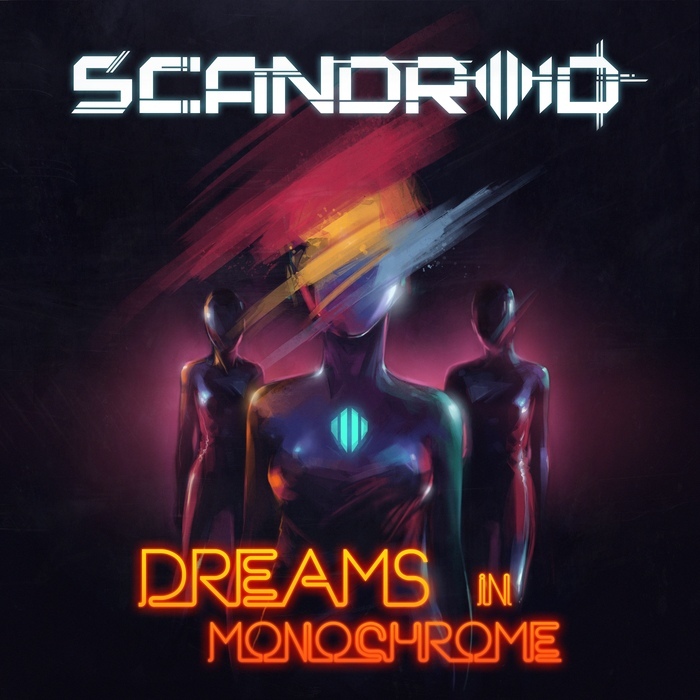 Following the international success of Scandroid's album Monochrome, (Top 10 iTunes Electronic Album USA, Russia, Canada, Germany, United Kingdom, Australia, Sweden, Italy, France, Latvia, Lithuania, #1 Amazon Electronic Album & #3 Billboard Electronic Album Sales Charting), each vocal track from the sophomore release has received official remixes that will send listeners on a journey of Dreams in Monochrome. Ranging from synthwave to nu-disco, chiptune and future house, the remix album also features mixes from the Scandroid self-titled debut album, including DJ Stranger's remix of Scandroid's cover of Tears For Fears #1 Hit, "Shout" and more. Also included are the winning remixes from NewRetroWave.com's Scandroid remix competitions for the tracks "Aphelion," "Awakening With You," and "Neo-Tokyo," by Battlejuice, Turboslash and Chromatique, respectively. Available in multiple formats, including Limited Edition Cassette, so grab your Walkman and crank this album to 11 with remixes from Sunset Neon, Arcade High, Michael Oakley, VHS Dreams, PYLOT, Synthatiger, Robert Parker, Robots With Rayguns, Turboslash and Magic Sword.